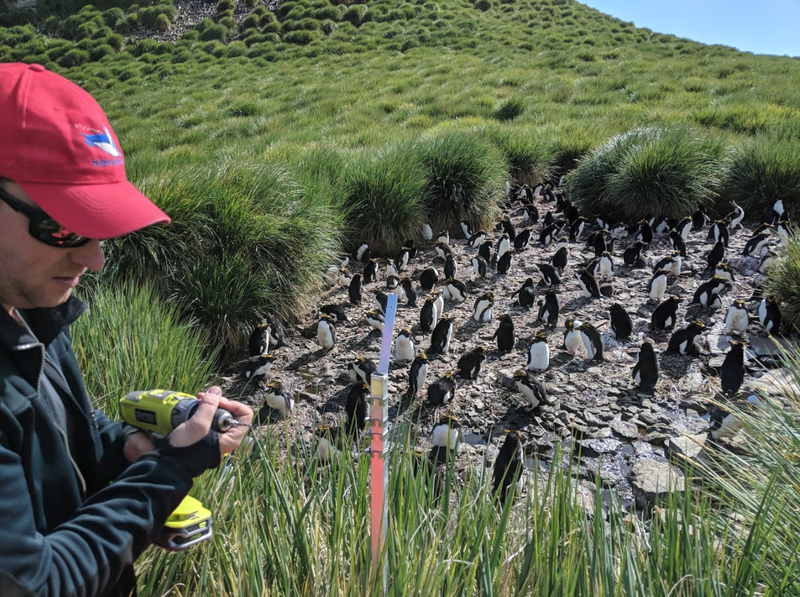 We put up a brand new Penguin Watch camera observing a macaroni penguin colony at Rookery Bay. 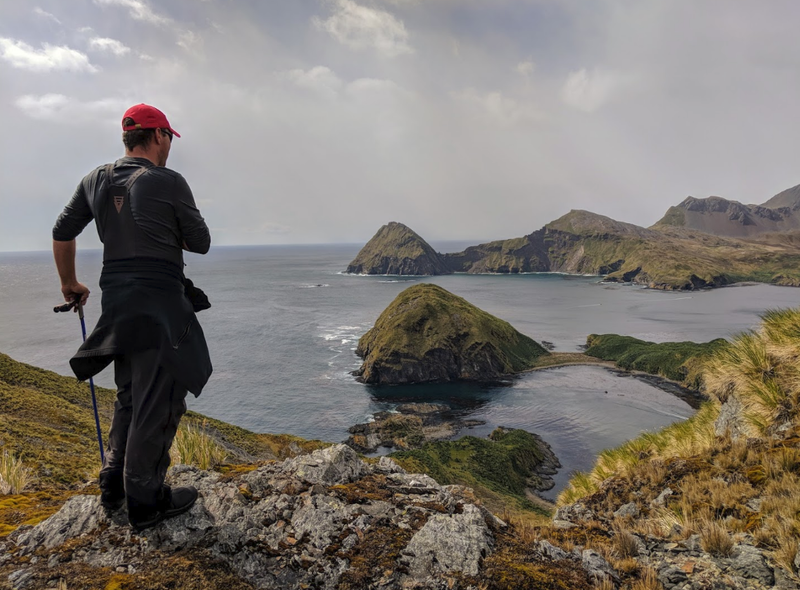 Tom radios for a zodiac to come and collect us after our hike over to Rookery Bay. Godthul is the bay in the distance. 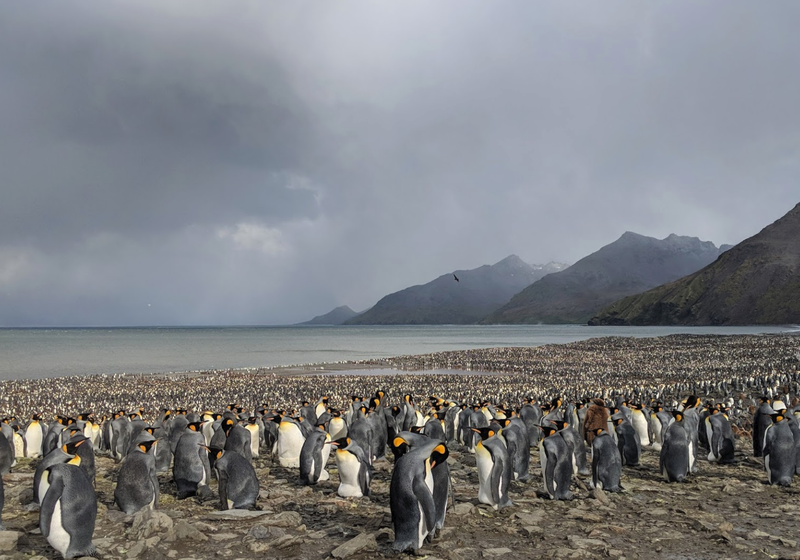 Half a million king penguins at St Andrews Bay. 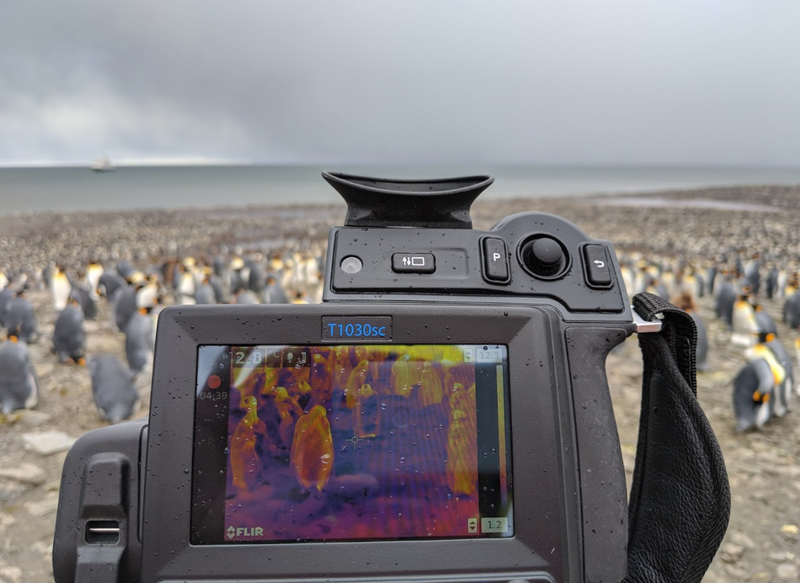 The infrared camera set up to observe king penguins at St Andrews Bay.